I don’t know about where you are, but here in Bath it feels like Autumn has definitely arrived. The temperature has dropped, the leaves are falling and every so often, the heavens open and we all get drenched. Classic. 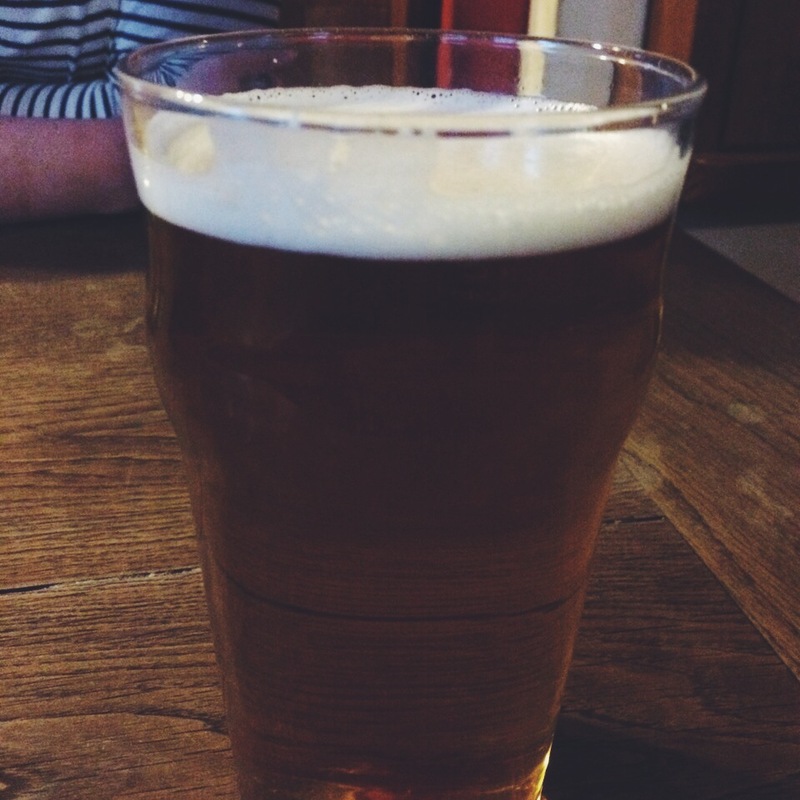 The plus side to this weather is it gives you a good excuse to spend the evening in a cosy pub. Which is exactly what we did. 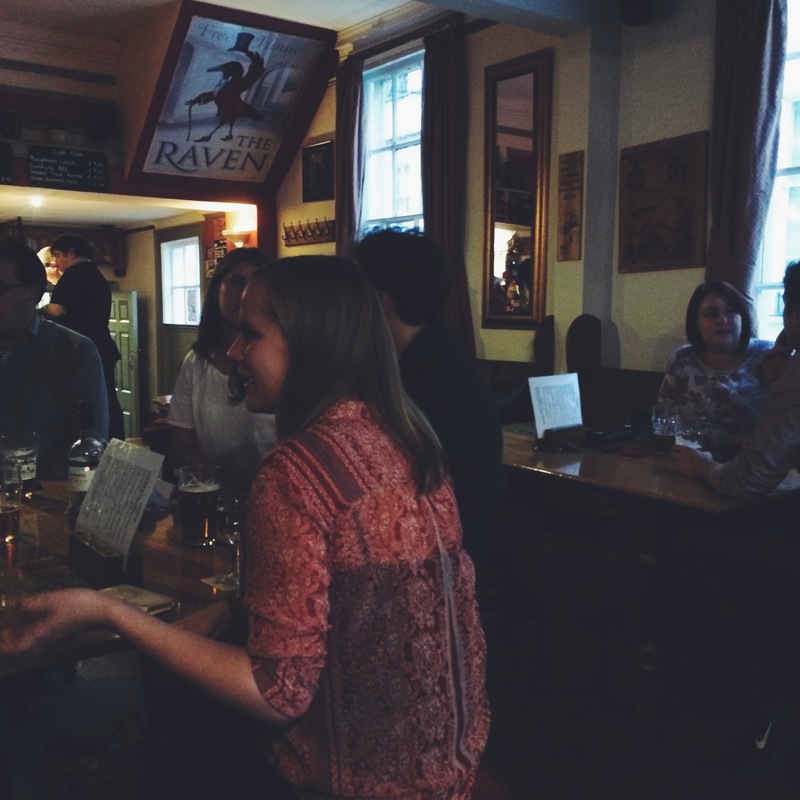 The Raven is a traditional, independent pub based in the heart of Bath. It’s bustling, warm and very inviting. 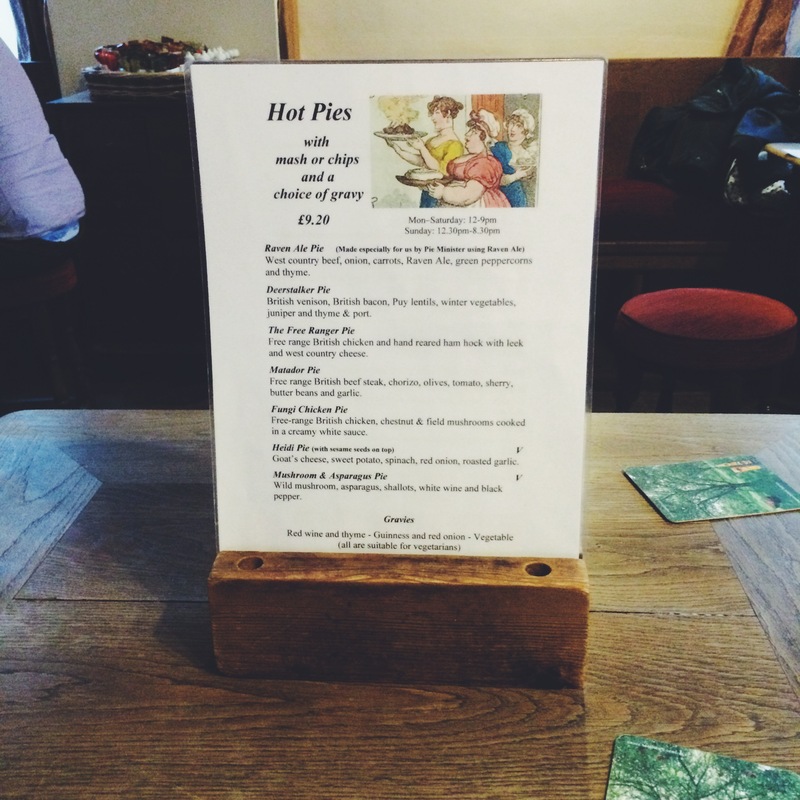 What’s more, they have a very enticing pie menu. 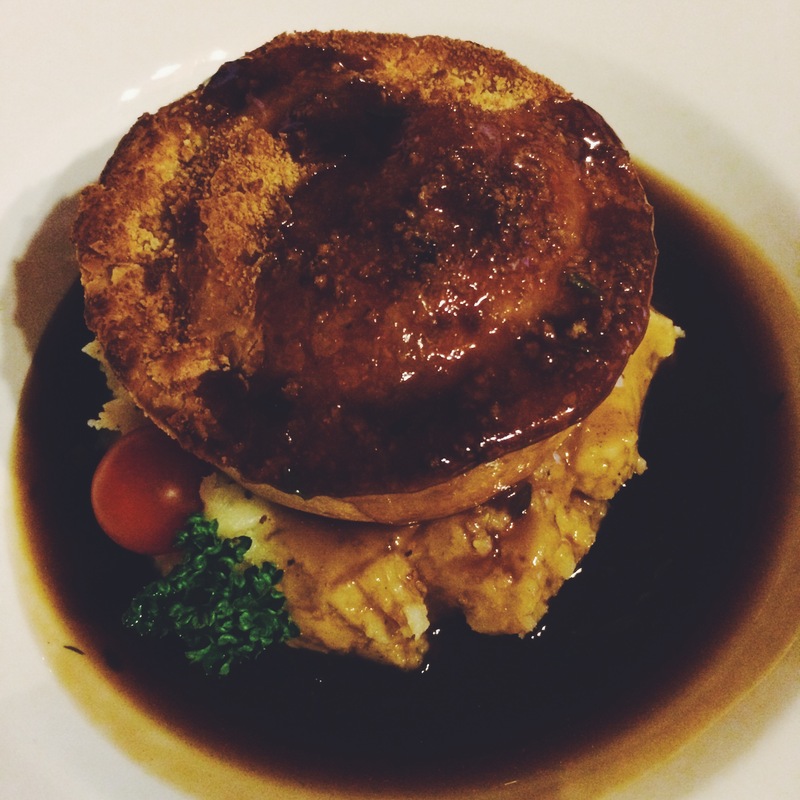 These are famous Pieminister pies. 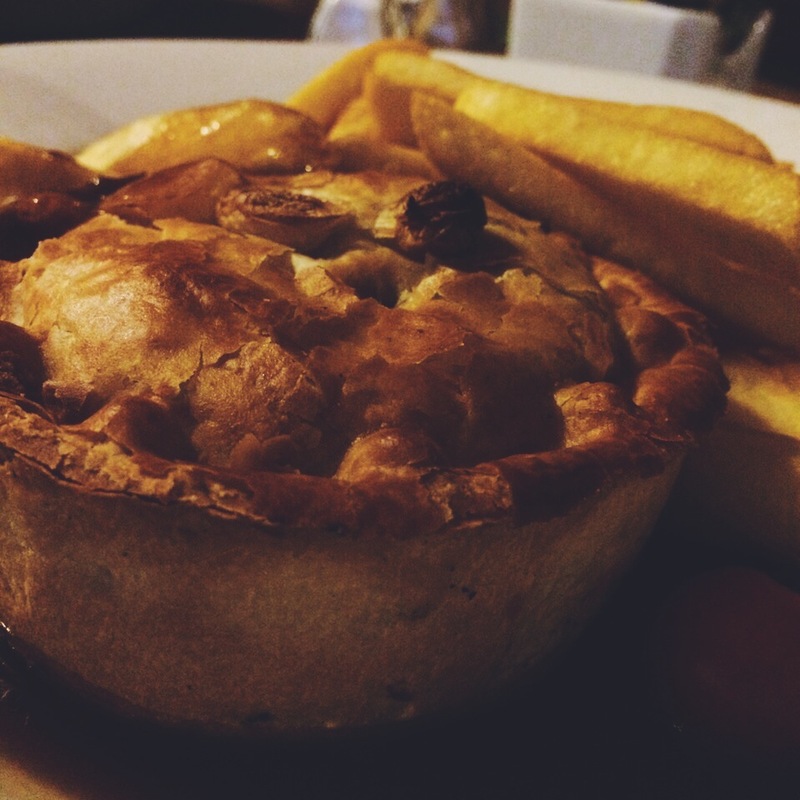 Based in Bristol, they’ve won countless awards for their delicious creations. And we were about to find out why. 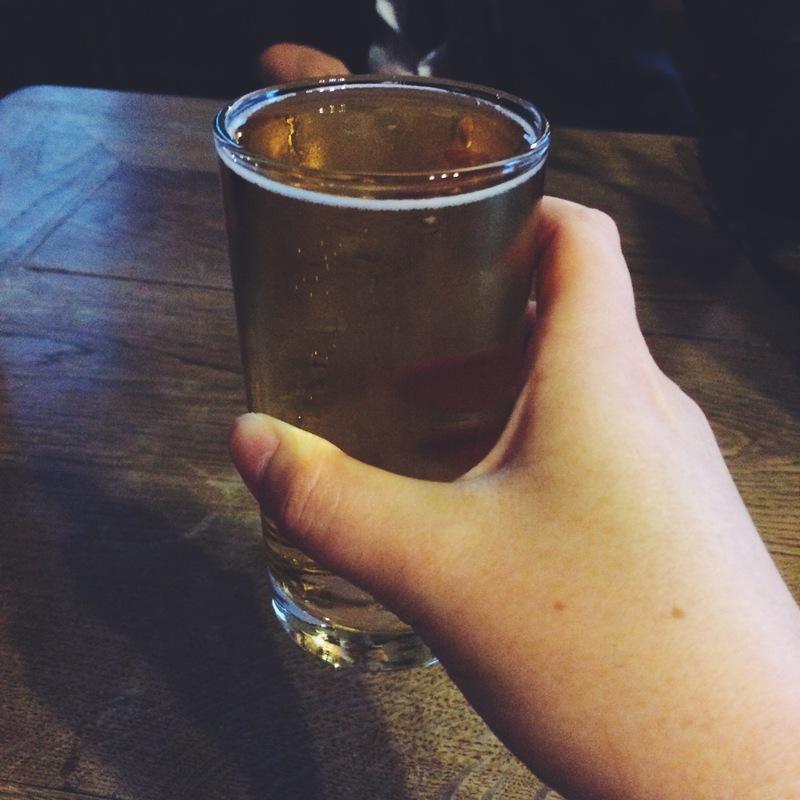 But first, a drink. Some local cider for me (when in the West Country, etc). And a pint of ale for Alex. 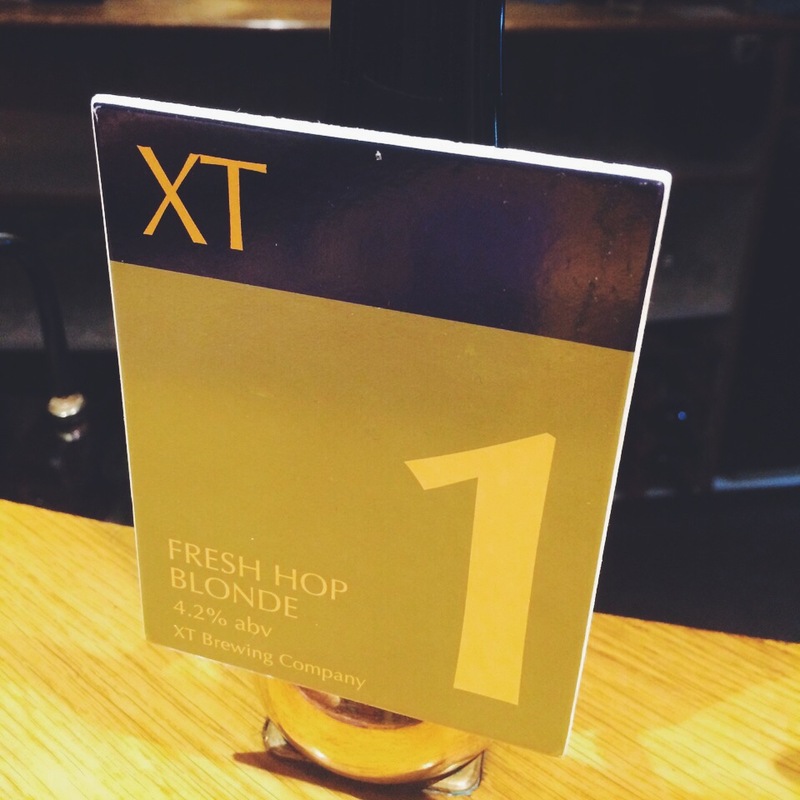 This ale, in fact, which he told me was very delicious. And then, the stars of the show. I had the Free Ranger Pie. Filled with chicken, ham hock, leek and West Country cheese, it was creamy, warming, and delicious. It was also served on a bed of peppery mashed potato, and was swimming in red wine and thyme gravy. Perfection. Alex went for the Deerstalker Pie. This was filled with venison, bacon, puy lentils, winter vegetables, juniper, thyme and port. Pretty awesome. He – misguidedly – chose chips with his. They were good, but not as good as mashed potato (nothing really is, in my opinion). We ate up (Alex finished mine) and soaked up as much as the pub warmth as we could before heading into the cold night air. 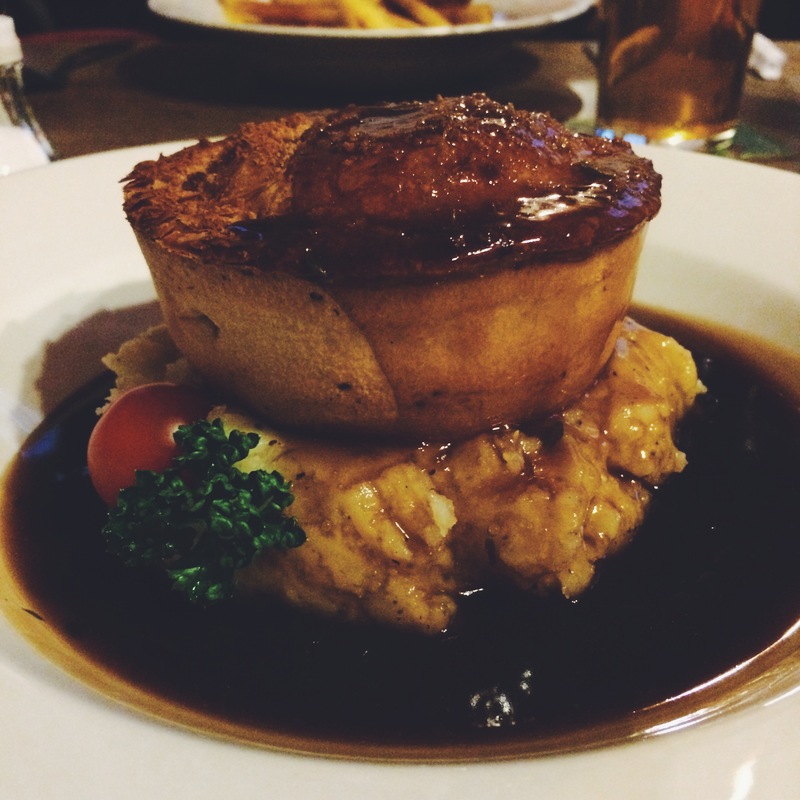 The Raven is a great find, and we’ll certainly be back to sample more of their fantastic pie menu (and ale selection! ).